5 Reasons Why The SOS Distress Light Should Be Your Next Purchase. Bonus – coupon code included! Once in a while, something genius is invented and it catches my attention. That’s what happened with the new SOS Distress Light. 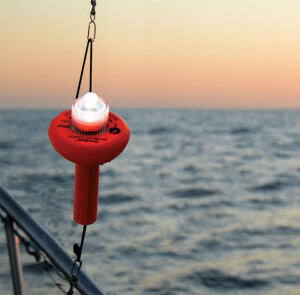 The SOS Distress light is an electronic flare that replaces your flare kit. It meets the USCG requirement and far exceeds them. Wouldn’t you rather be holding a light that doesn’t get hot or drop burning toxins? With the SOS Distress Light you would not need to be concerned about holding it downwind, away from limbs, away from a life raft that could get a hole in it… need I say more? It is basic arithmetic. The cost of a flare kit is about $35-40. You shouldn’t put expired flares in a dumpster because of the toxins, therefore there may also be a disposal fee. The cost of an SOS Distress Light is $100. Weems & Plath is allowing me to share with you their Chicago Boat Show Discount of 25% off. If you buy now with the coupon code, you’ll be saving money when you would normally be purchasing your second flare kit. It is a no-brainer! 3) Better for the environment. Flares are full of toxins. Last year the USCG reported that only 71 flares were used for emergencies. Imagine all the expired flares that go to waste every year. Where does all that toxic trash go? Out of sight, out of mind? 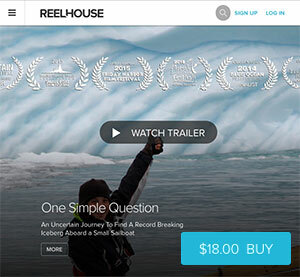 Not for someone who cares about the ocean and the environment – and I know you do! I cringe every time I have to dispose of an expired flare. The SOS Distress Light will last years and years so you are significantly reducing trash and production of throwaway waste. The SOS Distress Light can illuminate a very bright flashing SOS pattern for 60 hours on one set of C batteries. Carry a spare set in your ditch bag and that’s 120 hours. Imagine you are trying to signal a ship in the distance. There is one or two sailors on watch, eating chips and scanning the horizon every few minutes. You’ve got 4 flares that burn for 30 seconds each or one SOS Distress Light that will run for 60 hours. Which do you think would more likely be seen? I know what I would bet on. 5) Flexible in emergency situations. Most flares give you only two options – shoot them into the air or stand and hold the stick of burning lava while calculating wind direction as to not breathe in the toxins – all while an emergency is happening. With the SOS Distress Light you could hoist it up the mast, float it in the water (yes it floats), lash it to your PFD, and even have a child, panicked, or injured person hold it while you deal with the emergency at hand. Holding the SOS distress light is passive and very easy to do. You can even pass it around. The SOS Distress Light has few cons. First, the signal might not be as recognized as a flare by recreational sailors. Now that you know, be sure to teach a friend! But if you didn’t know the pattern – what you would know is that you are seeing a flashing light. You know it isn’t a boat so you would look at your chart and realize it isn’t on the chart. You want to know what it is because you are a safe navigator. So you would then look in a reference book, and eventually come to realize that this is the SOS light. Finally, a few minutes later, you would call the coast guard and let them know you have seen an SOS light. It might take a few minutes longer to figure it out, but guess what, unlike a regular flare….the SOS Distress Light lasts 60 hours! Second, the range of visibility is limited because it is only seen at sea level (unless you hoist it up your mast). Therefore, it is best as a coastal flare (check the regulations). A flare can be shot into the air. However, I’ve seen (or thought I saw) a flare peek above the horizon and disappear in an instant. While a flare (from a flare gun) has an advantage in height, it has a disadvantage in duration and can be easily, very easily missed. The new code is helloocean for 20% off. And 5% goes to ocean conservation! So, order yours today and use the coupon code: CHICSHOW16 for 25% off. You won’t find a better discount anywhere else. And, for a double win, Weems & Plath has agreed to give 5% of each sale using this code to our Hello Ocean conservation efforts! By the way, we go over emergency drills on our sail-training expeditions. We’ve even been known to get into a lifeboat, set off flares (although we are switching over to the SOS Distress Light) and fire extinguishers, and do repeated man overboard drills. 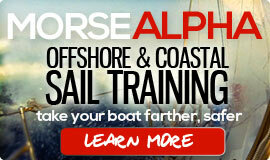 If you want to be prepared for anything at sea, try one of our sail-training expeditions. Visit morsealpha.com. GREAT DEVICE and article. Will get one! We did see these at the Newport boat show and think it’s an excellent idea to have onboard. They don’t work that well in bright daylight, but then again neither do flairs, so it’s still a good idea to have smoke flairs and Solas flairs in your kits. The more tools you have to be rescued the better your chances. So, I used your coupon and purchased one through Weems and Path. Thank you! Flares are a night signal. 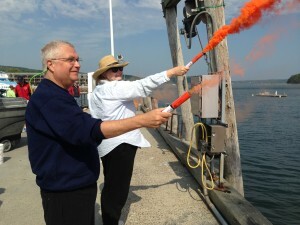 Smoke flares and signal flags are day signals. The SOS Distress Light comes with a day signal! I should have mentioned that in my post! Great idea! I will get one wth the coupon! I would like to order one, but went to the website and it would not accept the code. Maybe they haven’t updated their site yet. I agree that the SOS light has many advantages, and I plan to get one – but I will still carry flares. A prominent sailing club did a demo recently and the SOS was not nearly as bright as the equivalent pyrotechnics (especially SOLAS flares). And being limited to near sea level, the SOS won’t be seen anywhere near as far as a flare. Finally, a sequenced flashing white light might not always be recognized as a distress signal. As I said, I plan to buy the SOS in part for its many advantages, and to ensure compliance with USCG Regs. But I will still carry flares, even if out of date, especially offshore. Even long expired ones work most of the time per personal testing. 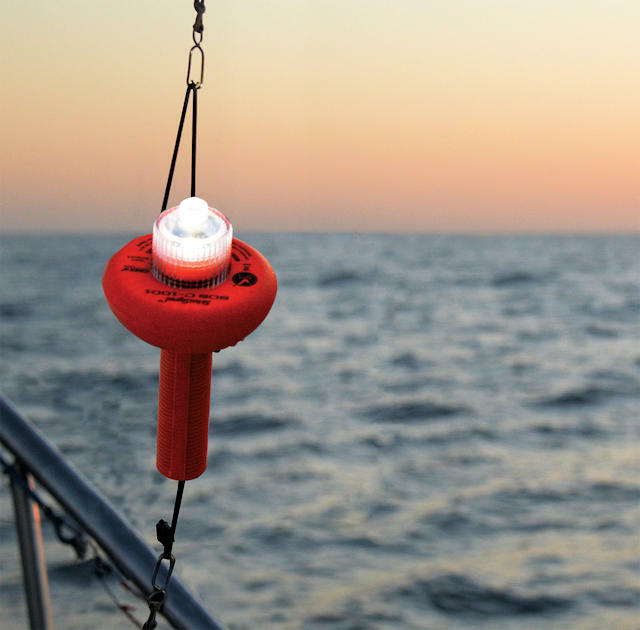 SOLAS flares exceed the standard for brightness, but they burn a much shorter time than the standard USCG flare kit – and of course far less time than the SOS Distress light. The product is still new and rapidly growing in popularity. It won’t take long for it to become widely recognized as much as a flare. In fact, lots and lots of people are finding out about it – including you and me! Commercial mariners should recognize it. And prudent sailors will look in their reference book when they see a flashing light they don’t recognize and isn’t on the chart. It wouldn’t be smart or safe to ignore it! Be careful with expired flares! They can be dangerous. Don’t keep them around too long. When will this be approved for use in Canada? I’m not sure. These things take time and it has only been on the market for less than a year. I have no doubt it will happen though! The only problem I see is that planes and helicopters use heat detection methods so that could be a problem. I would assume that a person’s body heat is much stronger (and longer lasting) than a 30 second flare. Do they really try to heat detect flares? That seems like trying to find a needle in a haystack – the heat only lasts less than a minute. Do you have a link or whereabouts of this info? I would love to learn more. Most SAR aircraft will have an infrared camera (sometimes called a FLIR – forward looking infrared), which very helpful for finding objects with high temperature contrast against their background, like a floating object on the sea or a flare in the sky. A flare will have a very high, but short duration, temp difference against the sky as long as it is not viewed up-sun. The SOS distress light is probably an LED strobe, so I suspect will likely have a very low IR signature. That said, I plan to acquire one of these, and will keep it aboard along with aerial flares, “lava” flares, and a smoke or two. Can you elaborate on the day signal that comes included with the SOS strobe? Is it a mirror or something similar? 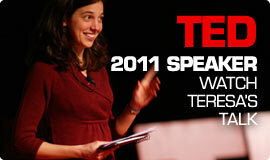 Off topic, I’ve enjoyed your Youtube videos & Google+ chat, and am happy to have found this blog. Thanks! Thanks you for the write up and information on the SOS distress light. I have a safety first mentality when it comes to sailing. Sure this might be overkill since I still have my unexpired flares, however, I’d rather be safe than sorry. As such, I purchased the SOS Distress light. Thanks for the code, it worked great. Hi Teresa – I tried purchasing the SOS Distress Light on the link you provided but it would not accept the CHICSHOW16 promotional code. I want to make sure Hello Ocean will get its $ before I buy one. I think they are experiencing a lot of traffic on their website – which is good! But as a result, there are some glitches. Give it another try and let me know if it works. Thanks Teresa, I’ve placed my order! We just returned from the Miami boat show this past weekend and ran into the Weems & Plath guys who were wonderful. While talking with him, I mentioned that I read about this new distress flare through Sailing Simplicity blog he signaled me away from the table out of the crowds passing by and reminded me of the special offer (which I totally forgot about) He said he had to pull me aside because they had been selling like hotcakes all day long at $99.00 and didn’t want to upset the masses who weren’t privy to this special deal. I had to take one home! Thanks for the heads up on a great product and thanks for the blog posts, I look forward to each one. While the new devise is interesting there are a few additional facts to consider. the manufacturer represents the electronic flare as “compliant.” It is not Coast Guard approved and you must carry the daytime distress flag (supplied) to be legal. You cannot carry the device on any for hire vessel. The device is not approved in Canada-regular approved flares must be carried. While it will blink for up to 60 hours it is no where near as bright as a normal flare. It will not give a helicopter pilot any idea of wind direction like the smoke from a flare will do. Carry it as extra equipment but carry some real flares too-even if they are outdated.